First, Pooky should be hired by Kimberly Clark, as they are one of the Top 25 firms in the world and have spent an amazing amount of money trying to understand human eye tracking to promote brand awareness and increase sales. Perhaps the Pookmaster could teach them a thing or two about eye tracking, as he/she had a LOT going on in that little head while watching the mouse. Imagine how much $$ they could make selling what they learned from Pooky to Meowmix & Purina! Second, I believe that Pooky had a strategy all along with this painting mouse bit, of course he was just too wise to give it away at the start. He/She was just going to wait that dumb mouse out, as surely he would tire out eventually – and pooky knew right where to find him. Besides, why waste all that energy chasing, lets just lie back and relax a bit right?? It worked for all the greatest artists!! Finally, in spite of how we love our pets we sometimes put them in awkward positions to amuse us… I shamefully (though with a smile) share the following. Happy Halloween! 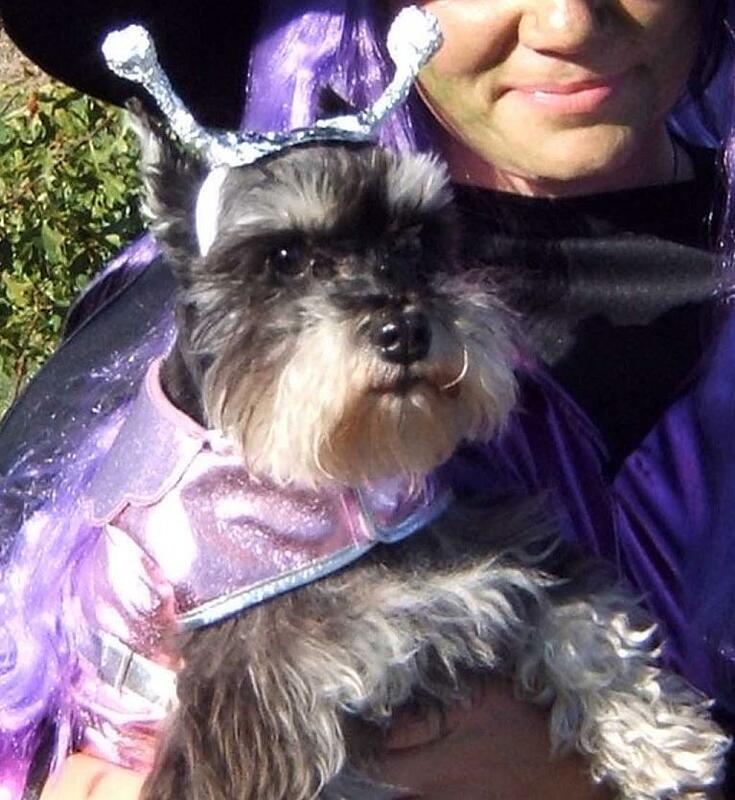 ps: Is she NOT the cutest space schnauzer ever??? pss: This does not count as animal cruelty, as she is simply wearing her everyday rain coat, and we like to think of her tin foil antennae as an “accessory”… that is my story, and I am sticking to it.